DevOps is everywhere these days. If you’re thinking of bridging or development and operations teams, or if you’ve already done so but are looking to expand your team, you’ll need to know what you should be looking for in your next DevOps hire. The good news: the DevOps talent pool is growing, and there’s tremendous talent to be found in the field. But what should you be looking for in a candidate? Do you need a professional who is well-versed in every facet of the typical DevOps workflow, or should you be looking for just the right candidate to fill a skills gap within your existing team? Should you focus exclusively on a candidate’s technical prowess, or should you be considering soft skills such as interpersonal skills as well? Find out what our pros had to say about what you should be looking for in your next DevOps hire by reading their responses below. 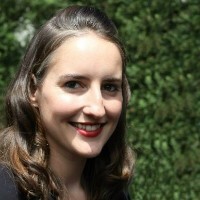 Elizabeth Enders is Envato‘s Talent Acquisition Manager and has more than 10 years recruitment experience in contact center, technology, media, and marketing sectors across two continents. Rather than just focusing on outstanding technical abilities, we’re always looking for strong soft skills, an alignment to our company values (such as diversity and fair go), and being a nice person. If someone is abrasive in their interview or talks down to one of our crew, then we won’t hire them. We are not looking to hire Rockstars; we want people who can work as part of a team. Our DevOps and Site Reliability Engineers have highlighted that demonstrating curiosity, an ability to come up to speed quickly, solid problem solving skills, and an ability to listen as well as the ability to admit when you don’t know something in the interview process are all top things they look for in potential future team members at all levels. When people reach a senior level, our team wants to hear about lessons you can teach the team about different tech, while also demonstrating that you have experience helping people identify and solve problems and systems. Also, that you can demonstrate, in an interview, that you are aware of the issues that are important to us, for example, scaling, empowered teams, and so on. Finally, we want to see that our potential new hires are flexible. For example, if there’s some code in something you’ve never seen before (be it a product or language), and you don’t know what it’s doing, but it needs changing to solve a problem, we want to know that you’ll start learning; that you’ll ask questions of the people who wrote it and do what’s needed to complete the task. We care less about the technology you’ve used and more the application of your skills, including your ability to diagnose an issue, design a solution, and your desire to learn and share information with others not only at work but also in the broader development community. 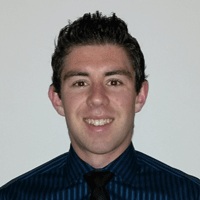 Dave Gullo is a co-founder and chief technology officer at VideoAmp. In addition to his technical work, he is passionate about carefully and personally hiring engineers and data scientists to join his growing company. Or any position for that matter, we are very big on hustling to find the people that we want to join our team and are very selective. We do this by having a presence at various industry events in which we believe the top tech talent will be present at and do so by either attending hackathons, speaking at meetings, or going to coding events. Additionally, we have found it best to not work with recruiters. The unfortunate truth is that no one knows your company’s needs and wants in a candidate better than you do. By getting out there and meeting these candidates in-person at informal settings such as a coding mixer, we can see their true personalities and better determine if they are a cultural fit as opposed to the rigidity of multiple recruitment interviews. 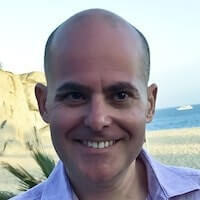 Alan Zucker has over 25 years of experience working in Fortune 100 companies leading projects and large organizations. In 2016, he founded Project Management Essentials to provide training and advisory services. If the organization is in the early stages of an Agile and/or DevOps transformation, strategic thinking and communications skills are critical. The new resources will play a critical role in charting the overall course of the transformation and influencing the development and operations teams to adopt the new ways of working. Organizations that are well on their way to being more focused on hiring resources with the required technical skills. DevOps is primarily a cultural and organizational transformation. The strategic view is to focus on people and process before tools. I look for people that talk about understanding the value stream, identifying systemic bottlenecks or waste, building a collaborative environment, or gathering and understanding metrics. These resources are the people that will help lead the transformation. They will guide the organization to optimize the end-to-end value stream rather than optimizing local processes. 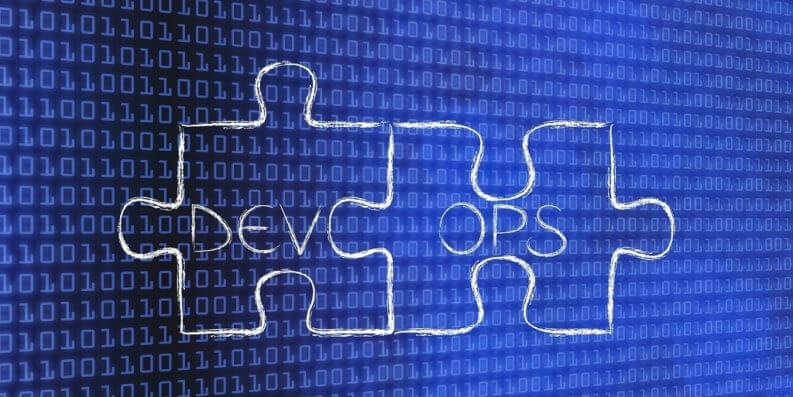 They see DevOps as not just a tool for technology, but as a way to increase value to the entire business. In Agile environments, we want resources that are “generalizing specialists.” So, when it comes to technical skills, I look for “T” or “E” shaped resources. “T” shaped resources have a depth of experience in one technical specialty and have a good working knowledge in other areas. “E” shaped resources have a deep expertise in several domains. In other words, l look for people that can play multiple roles and support multiple technologies. The DevOps toolsets are still rapidly emerging and changing, so I also want resources that are inquisitive and comfortable with change. 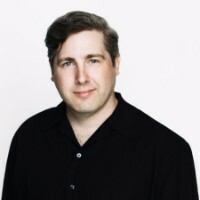 Shawn Rubel is Founder and CEO of Vecteezy, a stock graphics community that provides millions of vectors, icons, and illustrations for creative professionals. Originally from Canada, he now works and resides in the greater Nashville area with his family. There’s plenty to consider during the hiring process, but you definitely want to hire someone who can adapt to new technologies, new techniques, and new tools. In other words, you want someone who constantly learns and works to advance their skills. 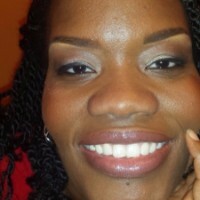 Krishna Powell, is the Principal of HR 4 Your Small Biz, LLC. A candidate who can explain what they do and what they have accomplished in laymen’s terms. If they can do this during the interview process, then more than likely they have solid communication skills and good business acumen. The reason this is important is that this person often needs to be able to explain things to their non-technical co-workers, so their co-workers understand what is needed and why it is needed, and be able to turn it around quickly. This saves time and prevents confusion and conflict between technical and nontechnical workers. Christie M. Summervill is the CEO of BalancedComp, LLC. Their chops for learning new languages and trying to build things on their own. It is critical that we hire people who don’t just stop at the current language they use or they will look at every problem or opportunity from that perspective instead of the value another language or approach could bring to the table. They most often have to use their own time to develop these new skills. 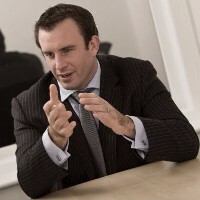 James Lloyd-Townshend is the CEO at Cloud recruiters FRG Technology Consulting. Strong passion and knowledge for the development and deployment of the product, as well as the integral server structure used to manage the product. They should also have an acute awareness of new technologies to help improve these processes. The role of DevOps professionals is becoming more and more crucial to a Cloud implementation project. Cloud-based products are developed and deployed on a larger scale than ever before in the IT Industry, and it’s this shift that’s helping to shape the role requirements and technology background of a DevOps professional. The implementation of Cloud-based products to deliver and deploy the newest versions of software highlights the need for an experienced DevOps Engineer who is responsible for upholding server infrastructure, keeping systems running smoothly through the deployment process, and moving a business forward technologically. 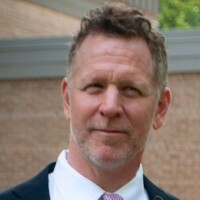 Calvin Brown is the DevOps Architect & Lead Developer for Kairu Consulting, LLC. How much they know about the other areas of the project. To explain, a project consists of these 3 elements: what the user sees, the code that runs, and the platform(s) that it runs on. That’s also usually broken into 3 careers: graphics, developers, and operations. A good developer would know how to release their product to the world and how to check for security vulnerabilities, deploy machines, and use some of the same tools as the operations team. True, this is two career paths, but consultants like myself who must deliver a product online for our customers to see (and pay for) must know the basics of operations. The same is true for operations folks. Knowing how to build the code for release, write basic scripts, and deploy code is critical in today’s environment. The Cloud (especially Amazon AWS) makes this more of a reality. If a developer says they use AWS and understand EC2, they’re DevOps types of guys (and ladies). If operations candidates know CI/CD (continuous integration/continuous deployment), then they’re likely DevOps ready as well. Mush Honda is the Vice President of Testing at KMS Technology, Inc. He is a driven IT leader with over 15 years of experience in software testing and practice management. 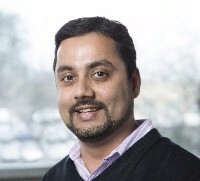 After joining KMS Technology in 2010 as a QA Manager, Mush was named VP of Testing in 2015. His current responsibilities include architecting efficient automation and manual test strategies and processes while empowering teams to be successful. The primary core skills for a DevOps related position would be knowledge/experience with Infrastructure-based automation tools, such as Docker, Chef, Puppet, etc., along with familiarity with Continuous Integration (CI) tools, such as Jenkins, Bamboo, CruiseControl, Team City, Team Foundation Server, etc. Finally, knowledge around project lifecycles (SDLCs) of Agile – Scrum, Kanban, AND interpersonal communication to remove delivery obstacles is key as well. 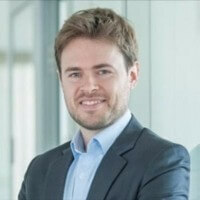 Steve Pritchard is a Business Consultant for giffgaff. Many businesses will contain loyal, hardworking, and productive staff members who, despite being valued team players, may be resistant to the change in culture that DevOps may well bring with it. It is important that the person you hire as DevOps will be able to build a rapport with these staff members and not make them feel uneasy. Many businesses run the risk of losing some of the best people in their team by forcing an unprecedented and unwelcome change in their daily working lives. Therefore, you should be hiring for personality and approach every bit as much as experience – there needs to be a rapport with your current team members. 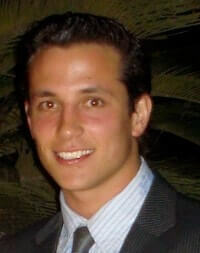 Cristian Rennella is the CEO & CoFunder of el Mejor Trato. Has a passion for learning about other topics. The right skills set about programming is compulsory, but there should be a strong commitment to incorporating new content with people outside the binary code world. Hence, a programmer should indicate that (s)he has that special personal trait of pursuing knowledge about the field in which the possible company works. Actually, we have interviewed more than 350, and of course, we’ve had successes and failures. However, the best lesson we learned is that we need to look beyond the CV and see how fast and how willing is the prospective developer is to learn about other topics. You know a company is as successful as its employees, so before making the right hire, be sure the candidate has the ambition to learn to triumph in the long run. 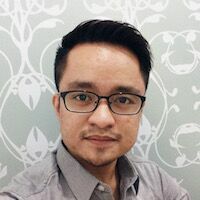 Carlo Borja is the head of online marketing for TimeDoctor.com. This person must have gone through some basic tests to determine if he knows the job. But, we make them work with us on short projects during the hiring process. This helps us determine if he can easily adapt to the company culture and at least have an idea of his work ethic. 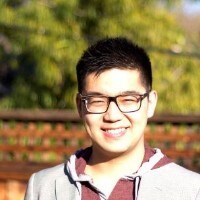 Michael Su is the Head of Engineering at Blueboard. Like other things in the startup world, it pays to hustle and find talent where others aren’t looking. In terms of engineers, this means going to the source and checking source code of example projects, personal websites, GitHub contributions or repos, programming competitions, etc. Be creative. Don’t pass over candidates that do look exceptional on paper, but don’t miss out on those who might show their competency in other ways. Bradley Shaw has founded numerous online startups since 1997, generating over $150 million in online sales. Currently, he is the owner of SEO Expert Brad, an online marking company based in Addison, Texas. Having an enthusiast elitist in a DevOps role can be a nightmare. Ask them for examples of their past decisions where simplicity won over complexity. The decision itself is less important than the approach taken. 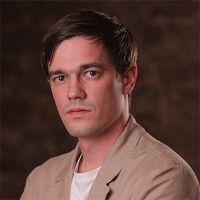 Reuben Kats was born in Ukraine in 1989 under the communist regime, luckily able to escape in 1992. He moved with his family to Los Angeles and was raised in LA. He went to school in Los Angeles and Israel. He worked for many companies before finding the right job for him. At last, in 2016 he started working at GrabResults, LLC and Falcon Marketing, LLC. There he found a real niche for what he wanted to fulfill and accomplish in life: helping people and business owners succeed in their locations. One must have an entire background history of the interviewee. This industry is very vulnerable to security threats; if a rogue developer decides to wipe the server, no one will know who did it. I believe it is important to hire people who are not money-hungry, have clean records with the law, and are eager to work hard to grow themselves up the ladder in the company. I have a strong belief that one who works hard will. 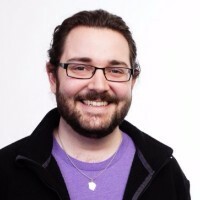 Jay Gorrell is the Lead DevOps Engineer at Upside Travel, a DC tech startup founded by Priceline’s founder Jay Walker. Someone with a blended background in cloud infrastructure and application architecture – someone who can bridge the gap between Engineering and Cloud providers with a heavy emphasis on automation. Fiyyaz Pirani is the Founder & CEO of Medology.com. You need to be sure that your candidates have both development and operational experience, not simply one of the two. Oftentimes, you’ll get applicants who have experience in only one of the areas who are hoping to learn the second while working for you, but if you truly want to hire for DevOps, you need individuals with experience in both already. Additionally, candidates need excellent communications skills, experience with Agile development methodology, CI/CD experience, and experience with whichever ERP system you utilize (whether cloud-based or on-premise). 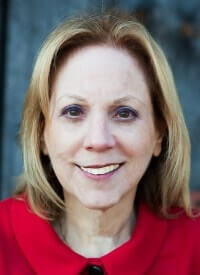 Dr. Janice Presser is CEO of The Gabriel Institute and Teamability.com. 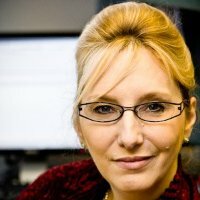 As a behavioral scientist and architect of the technology that powers Teamability®, she has studied team interaction in academic, clinical, and business settings for over 40 years and has shared her expertise in the areas of HR metrics and measurements, workforce planning, and human capital assessment. In an era of digital disruption and change, Dr. Presser’s integrated methods are being used to design collaborative culture and to produce extraordinary business results. It is essential to recognize that a ‘team’ has a life of its own, and that different modes of teaming can be just as important to collaboration and productivity as different areas of expertise are to creating a new product. In any team — especially one that operates under complex, changing, and stress-inducing conditions — the ability to team well with others has tremendous value. Now, through new technology based in physics and systems theory, it is relatively easy to identify specific aspects of teaming that apply to a particular set of job responsibilities, workplace context, and team mission. So, the most important thing to have when hiring for DevOps jobs is a clear understanding of teaming needs and challenges, and the most important thing(s) to look for is the teaming qualities that will ensure success under those working conditions. Reliable: If the DevOps candidate does not follow through on what they say early on, it’s a bad sign for the future. In a remote environment, being reliable is 3x more important since there’s no in-person pressure to deliver on promises. 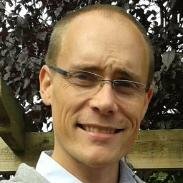 Self-Improvement: DevOps candidates must show initiative towards self-improvement. This self-starter attitude requires high self-motivation to thrive in an environment of independent work. We look for candidates that are not happy with the status quo but look for ways to optimize the DevOps systems and/or personal life as a habit. Ask Why: We’re not satisfied with DevOps candidates that just know what, who, or how. We want candidates that have a thirst to know why, who challenge the status quo and suggest improvements. We invite our team members to challenge our current DevOps processes and overall direction of the company. This has been built into the company culture, and we plan to perpetuate the “Why” culture with new hires as well. 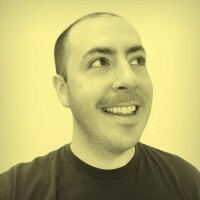 Sam Heuck is the Director of Engineering at Praxent. It’s a critical skill they must have because they need to be able to reason about technology stacks in terms of layers in order to effectively design and troubleshoot. A good question to ask might be: “In as much detail as you can, tell me what happens from start to finish when you visit a web page in a browser.” A good candidate should be able to talk about what happens when at the OS layer, the web browser layer, the network layer, and the server layer. On the soft skills side – great DevOps is about empathy and collaboration. DevOps makes teams really effective when they are able to socialize and effectively communicate the designs of the systems they are building in order to get buy-in from multiple different teams. That requires a great deal of emotional intelligence because it’s very easy for teams to become frustrated by the inherent barriers that exist when trying to discus and reason about abstract systems and concepts. 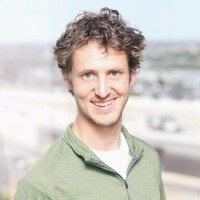 Martin Prescher is the Chief Technology Officer of AutoGravity, where he leads a team of engineers and data scientists to develop secure and convenient car financing. As technologies and methodologies are quickly developing, especially when it comes to software infrastructure. When I hire for DevOps engineers, I foremost look for somebody with an aptitude for change, and somebody who is flexible to go on a technology journey with us. Today a DevOps engineer is involved in all aspects of our product and needs to be comfortable in playing a ‘jack of all trades’ role. Of course, nowadays a DevOps engineer needs to understand modern container technologies, cloud services, and security standards. 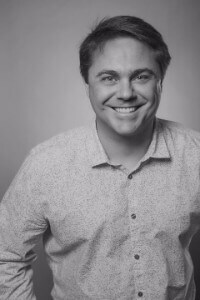 Mike Bastarache is the Senior Web Developer for HR-tech company Alongside.com with over 15 years’ experience serving various industries including government, education, food, TV media, enterprise, fantasy sports, and non-profit organizations. I look for a balance of related technical skills, relevant work experience, creativity, passion, and strong soft skills. With these core ingredients, you have a recipe for a strong teammate that you can depend on for contributing to the building of a better solution. It’s a no-brainer that when people try to hire for any new position, we all try to skill-match and ask for relevant work experience with the hopes that it will make a better hire and allow for onboarding the candidate faster. But I’m looking for a teammate, not just an employee, so during the interview and review process, I look for other things like how creative have they been when solving problems, how well they communicate, and their attitude towards working in a team and receiving criticism. 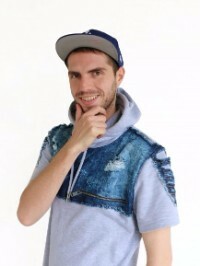 Nick Sawinyh is the Product Manager at Seomator. He is a proud father, husband, and corgi-owner. He has been working in the Software Industry for more than ten years now. The higher levels are also informing the lower levels about what is going on, thus keeping things together and in sync which benefits both the employer and the customer. If your team does not fully understand the complete workflow of the business, they cannot deliver the best results. So instead of just coming in and understanding their role in the workflow process, they must understand the complete process, thus producing higher-quality work. This requires less explaining for the manager as well and creates a teamwork-oriented environment vs. not being connected or feeling connected with the team. Teamwork has been proven to be very productive in any company. The results of the individual’s work will also be much more personalized. A win-win situation for all! 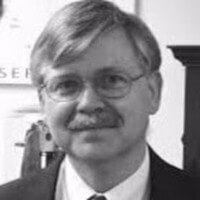 Sam is a retired engineer with over 35 years’ experience as a ballistics contractor for the defense industry. He recently hung up his engineering hat and now writes almost full-time for online publications, mainly for Gun News Daily. Open Source Software (OSS) is a kind of software that is free to use/modify for personal and/or commercial purposes. Most of the best new technology from the past 20 years like the Internet, the Mac, and more were built with open source software. Open source software is maintained by developers from all over the world. Most of these developers contribute to OSS in their free time and do it without being paid because they want to give back to the community. Good developers often make contributions to OSS on a consistent basis or have contributed to it in the past. Looking at developers’ contributions to OSS is a way to assess their skills before interviewing them. Go on GitHub or Bitbucket and look for top contributors to different OSS projects. These are skilled and passionate developers you should contact and potentially hire. For more valuable insights to help you get the most out of your DevOps team, check out our post on defining the “Ops” in DevOps, and read this article on the importance of giving your DevOps team ownership. Looking for more tips for hiring and interviewing? Check out this post.